Tired of traditional layouts? 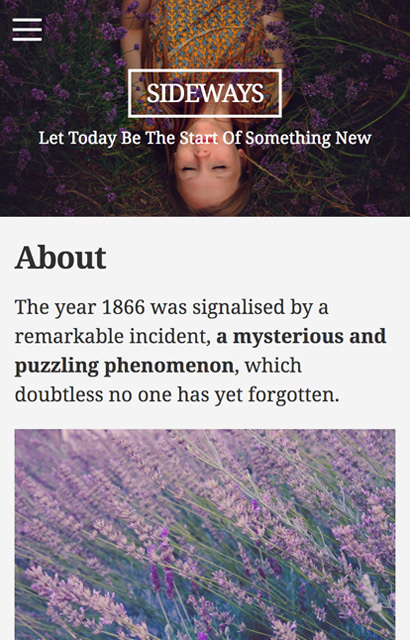 The Sideways Theme will add a cool new perspective to your website! 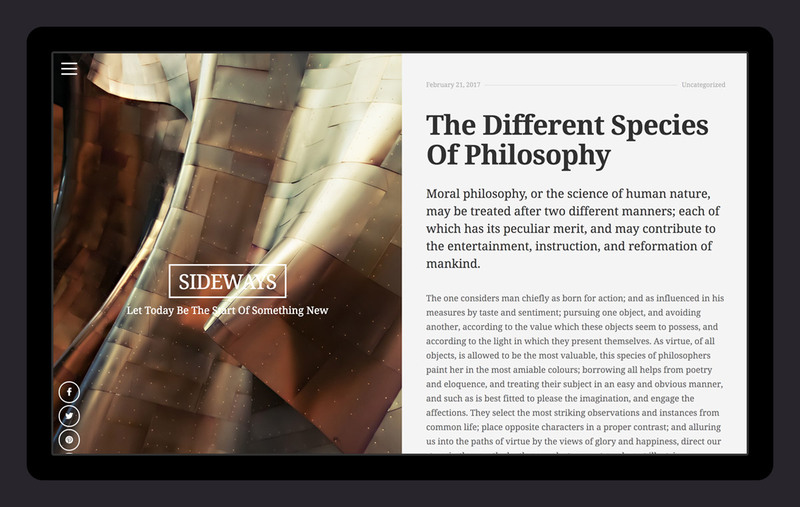 Sideways is a WordPress theme with a new perspective. It features a unique split layout. Featured images display on the left half of the screen, while content is displayed beautifully on the right. 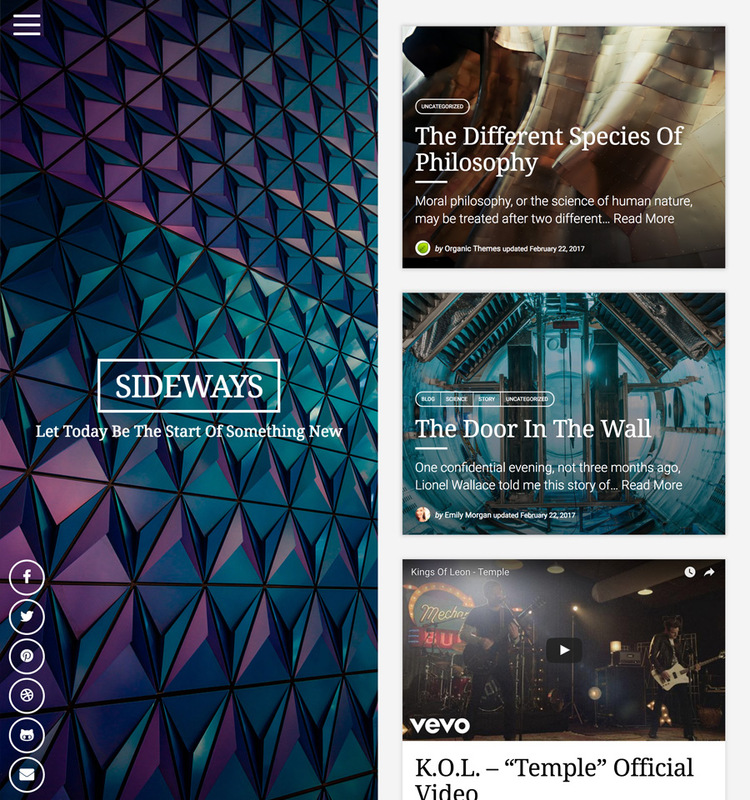 The Sideways Theme reads like a book, with clean typography and a focus on legibility. With Sideways we left the widgets behind. We felt they were unnecessary to the purpose of the theme. Organic Themes has always believed that less is more when it comes to great WordPress themes. As a result, we have left some unnecessary functionality behind. So you can setup your theme faster, and get to work on your content. Like all of our themes, Sideways is fully responsive. On mobile devices the layout transitions to a more traditional single column layout. In addition, the theme displays beautifully on high-resolution screens and devices. So your images will never appear fuzzy or pixelated. The theme utilizes the WordPress customizer for all options. So you can watch your changes to the theme take place in real-time. A custom social media menu is available for displaying links to your social media profiles on the lower left of the screen. Like the name suggests, the main navigation slides out from the side. 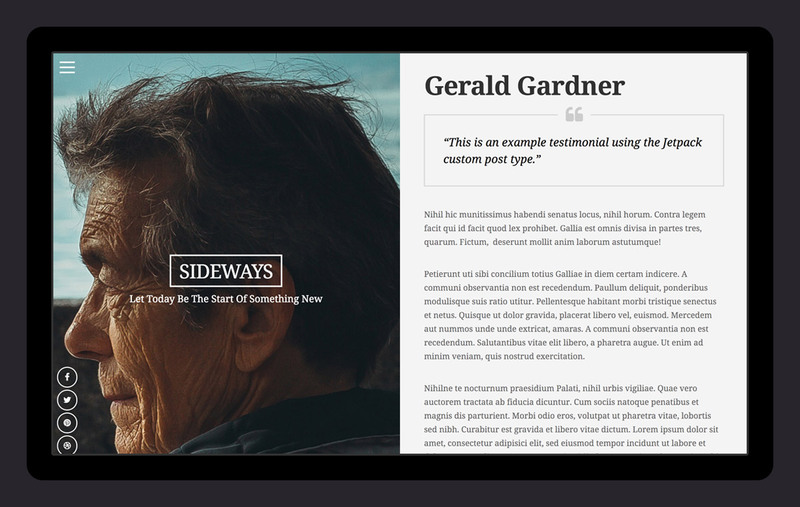 In addition to all the other coolness, Sideways features several page templates — including a portfolio and testimonials! Are you tired of that boring, traditional layout for your site? Give it a new look with Sideways! Read website content like you’re reading a book. 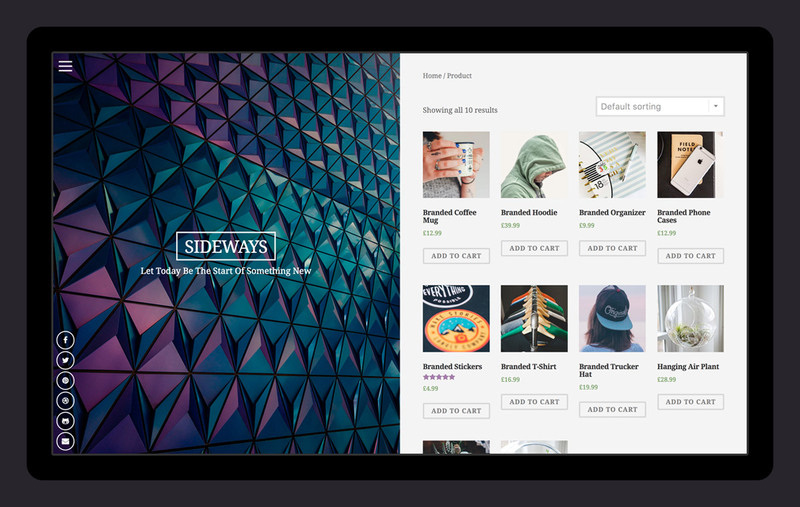 Sideways is compatible with WooCommerce. Support for testimonials and portfolios. Need a traditional layout? We got you covered. 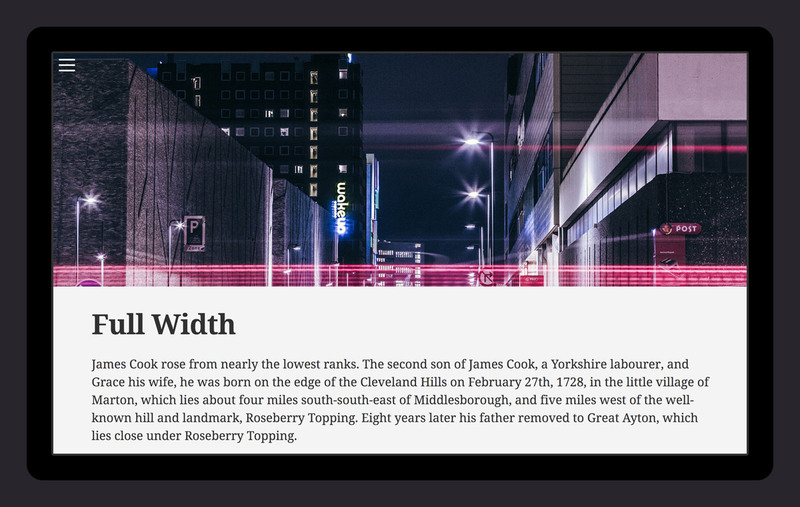 Start building your website with the Sideways Theme!